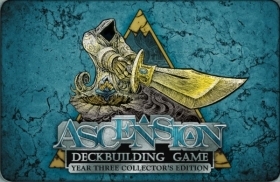 Enjoy the fan-favorite sets released in Ascension's third year with the Year Three Collector's Edition! Battle in style - all 378 cars feature updated card frames in a premium foil finish! 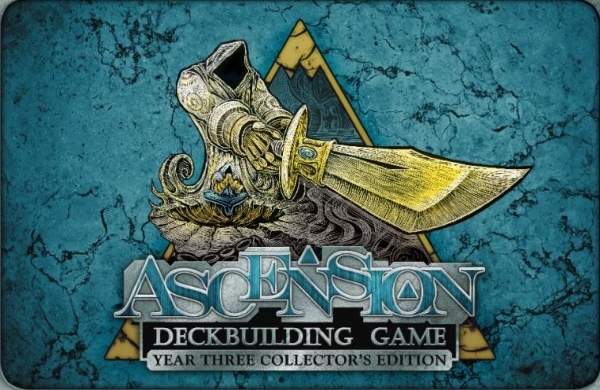 Beautiful cards and premium components make this the perfect centerpiece for you Ascension collection. Includes Ascension: Rise of Vigil, Ascension: Darkness Unleashed, the entire third year of promo cards and the PlayDek promo pack! Premium components including 100% foil cards, foil game board, portable storage box, dividers and an Honor token bag! 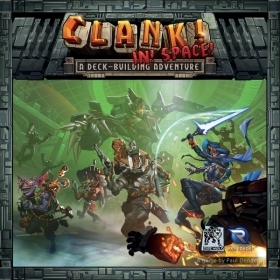 Playable as a stand-alone 1-6 player game and completely compatible with other Ascension expansions! Welcome back, Emperor. The time for unchecked expansion is over. Warmongers raise their flags over weaker empires, while civilized planets take shelter behind peace treaties. 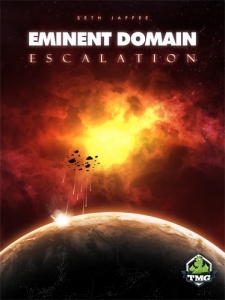 Brace yourself for rising tensions in this next chapter of Eminent Domain: Escalation!